Unlike most business phone systems providers, Fonality is really agnostic about how you deploy our phone system. Do you want the ease and convenience of a cloud VoIP solution? No problem. Prefer to stay grounded with traditional phone lines? That’s fine with us. Need help deciding what makes the most sense in your situation? Our experts are standing by. Selecting the right deployment for your phone system is an important task, but you don't have to do it alone. We're here to help. Drop-dead simple implementation - Because we own and manage all the hardware and software, all you have to do is plug in the phones. Zero telephony expertise is needed on your part. Available anywhere - Because the brains of the phone system are located in the cloud, it is easy to connect from anywhere. Multiple locations can operate seamlessly on the same phone system and remote workers are connected exactly as if they were just a cubicle away. No power? No problem. - Cloud VoIP is a great way to ensure that your business stays in business even when a power outage or other unusual event keeps employees from working in the office. Calls can be directed to other locations, mobile devices or home phone numbers without any inconvenience to callers. Redundant connectivity - Customers in areas with unpredictable Internet connectivity may choose a premises based deployment so that traditional telephone lines can be used as either a primary or backup method of delivering calls. Existing carrier contracts - If you want all of the advantages of the Fonality solution, but are locked into an existing contract with a telco carrier, we can help. 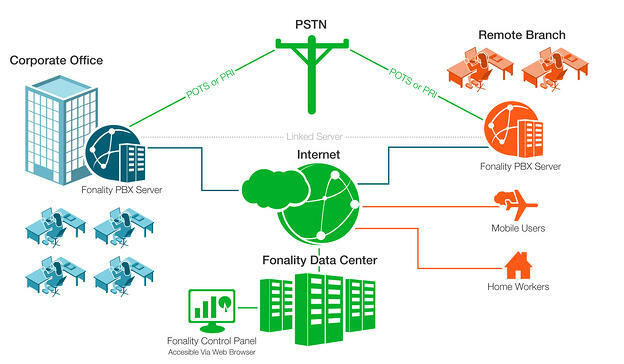 Fonality can be deployed at your location and the existing PRI lines can be used to connect to the telephone network. 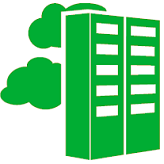 Just Not Sure About the Cloud - No worries, we can offer the same great experience whether the server is in your equipment room or our data center. Software Only- For clients with the technical resources and desire to manage their own system, Fonality offers a software only option. We really do want you to have it your way. Fonality provides both business phone systems and phone services. All cloud VoIP services include phone service, and most Fonality customers buy that as well. However, regardless of your deployment selection, we have option for you to "bring your own" phone service, such as a PRI, T1 line, or VoIP service from another carrier. We’re pretty serious about making sure our customers get exactly the solution that fists them best. We’ve covered about every way you might want to deploy your business phone system. (Really, we can’t think of any others. If you’ve got one, let us know. We’ll probably figure out how to make it work.) 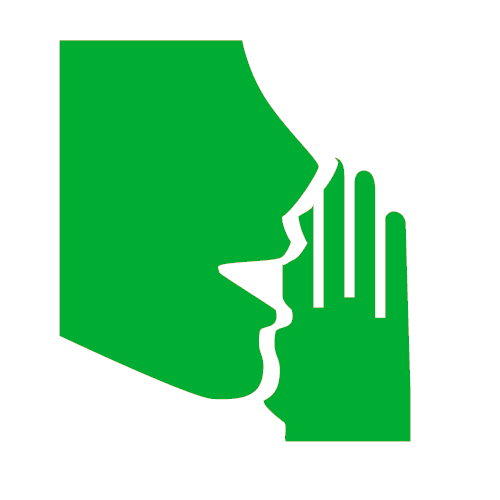 Whether you know exactly what you want or just want to learn more about the implications of each choice, our voice experts are ready to chat when you are. Want more details on the bits and bytes? Our How It Works page gives you more specifics. We think Fonality is great, but don’t take it from us. Our best salespeople are our customers. Learn what they have to say. Learn more about our contact center solution..